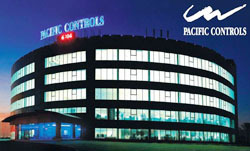 Pacific Controls also provides Facility Management services to their clients like EMAAR and manages their command control center (CCC). They were looking for using a single system for all these requirements and since they manage multiple buildings, it was very hard for the CCC operators to act on alarms received from the buildings in finding out the nature of the problem, ascertaining whether it requires to be serviced and if yes, identifying whether the asset is under warranty or not and whether the contractor should be issued the work order to fix the problem or a local technical can be assigned the job. After a thorough evaluation Pacific Controls chose to implement SIERRA's Asset Management and Helpdesk and Knowledgebase solutions to manage their green building as well as support their facility management services operations by integrating with their command control center operations. The eFACiLiTY® – Asset / Maintenance Management module picks up alarms from the individual assets in case of any mal–function via the Building Management System (BMS), generates work orders automatically and alerts the maintenance technicians / contractors over SMS and email. This reduces the work of the command control center operators as a few people now can handle many buildings simultaneously as they are only expected to act on any alarm that is not sensed by the eFACiLiTY® asset management system. The helpdesk became very effective and prompt as they had a great tool to monitor and take care of the customer requests in a very user friendly manner. The eFACiLiTY® – Asset / Maintenance Management module manages all the assets present in all their client buildings and their green building, tracks their warranty / AMC contract details, their maintenance schedules, costs & budgets, break–down history, inventory related to the assets and their purchase orders etc.